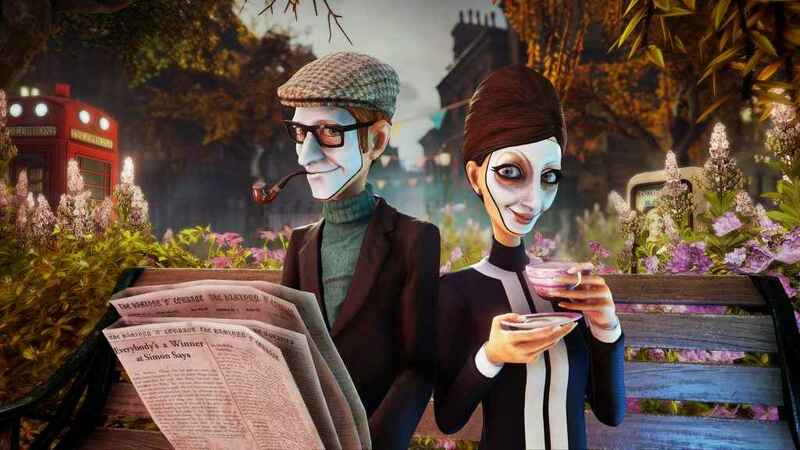 We Happy Few producer Sam Abbot is currently carrying out a Reddit AMA in which he spoke openly about the recently released action-adventure. One the questions on fans lips were the issues with frame-rate, save corruption and rendering which have plagued the game since launch. When asked if there will be a patch to remedy the issues, Sam confirmed they are working on a patch and proceeded to explain why this has happened on PS4 and Xbox One. We’re aiming for a hotfix to temporarily fix the save corruption issue. We’re also working on a patch to improve framerate and a range of other bugs. The rendering issues you’re talking about are caused by pretty intense load on the CPU and hard drive of the PS4 and Xbox – not issues that you guys would probably hear a lot about – which is causing the pop ins etc. I am genuinely sorry for these issues – we had to back out some optimizations last minute because they were too unstable, and it caused a fairly significant drop in framerate for the day 1 version. Unfortunately we weren’t able to delay release due to the retail builds being out in the wild. He also went on to explain some of the challenges the team faced when making We Happy Few, admitting that they struggled to keep up the expectation from fans with such a small team. Expectation management was probably the most difficult thing for us. When we started this project we were 6 people, and early on the game’s style was compared to Bioshock. We have done our best to make the game that people wanted, including growing the team and refinancing to build it. As a specific issue, we optimized the game fairly heavily when we released on Early Access, and when it came to full release optimization was a great deal more difficult, surprisingly on the CPU and hard disk IO side. That’s been more difficult/took more time than anticipated. Thank you – we may do, down the line. We will be sad not to make games for you guys too. The We Happy Few Reddit AMA is currently in full swing, so head over if you want to chat to Compulsion Games. If you want to know more about the dystopian action-adventure, check out our We Happy Few review. Thank goodness it was in early access for 2 years. They could have released a full price turd. Oh wait…………..
like No Man’s Sky was a recipe for disaster with its full price on Steam on PS4 and now recently just below full price on Xbone. Seriously though, keep them Microsoft. I haven’t seen a dev screw up optimisation with Unreal Engine so bad since the LAST studio you just acquired, Undead Labs. At least MS won’t ruin them. They are already ruined lol. I’m sure MS would allow them to make a game for PS4, as long as Sony allows cross-play…but all know that’s not happening.